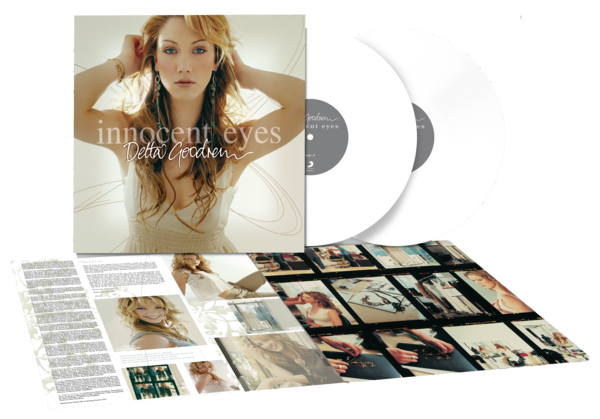 In celebration of the 15-year anniversary since the release of "Innocent Eyes" - the album that spent a record-breaking 29 weeks at #1 in Australia and topped the Australian Albums Charts is available on vinyl for the first time. This limited edition version is available on white vinyl with a silver label featuring a commemorative collage of photos and special thank you notes written by Delta. Limited run of only 1,200 being manufactured.